For good food and quick service, it’s tough to beat Jordan’s Seafood Restaurant in Emerald Isle. On this particular Thursday afternoon (4-10), the lunch business had slowed a bit. This allowed our waitress, Shelley Gray, to provide excellent service. My wife and I each had the regular portion fried flounder along with side salad and vegetable. Our fish was perfectly fried and the green beans were tasty. Normally, adults with average appetites will be satisfied with Jordan’s senior portions. If you wish to eat light, you might want to go with the child’s portion. With plenty of yummy hush puppies, you will come away satisfied. Shelley was johnny-on-the-spot with the tea pitcher never leaving me with an empty glass. Kudos to you! All in all, lunch was tasty and the service outstanding! If you’re looking for consistent quality food and service, you can’t go wrong at Jordan’s! It’s one of our favorite restaurants on the Crystal Coast. 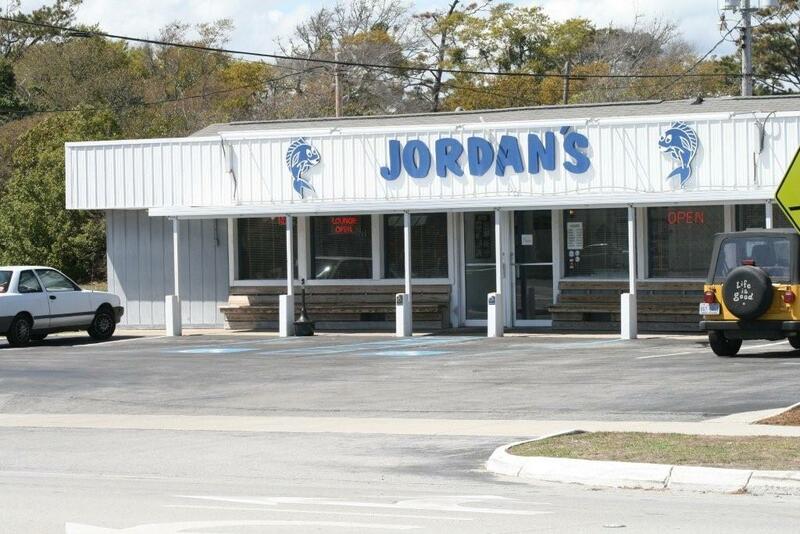 Have you eaten at Jordan’s Seafood lately? If so, tell us about your experience. P.S. As usual, we offer our restaurant review without compensation from this establishment. We’ve eaten at Jordan’s Seafood the two times we’ve been to Emerald Isle, and have loved it. Very fresh seafood, down-home service. The hush puppies are great! Be sure not to eat too many, though, save room for your meal. Great for kids, too, they are looking forward to going when we return in August. Greetings from the Crystal Coast Beth – Be sure to check back often as we will be adding other Crystal Coast restaurant reviews soon. In addition, we will be writing about our 2008 Best of the Crystal Coast awarding the “Best of the Best” for numerous business categories. So stay tuned! My family spends a lot of time in Emerald Isle, and we eat out often, but we avoid this place. The first time we went, about 5 years ago, we had kids in the 5 to 11 age range along with us, and the server was quite impatient with them and seemed annoyed that we brought them. We went back last year, bringing only our 14 year olds, but found the service gruff and impersonal. Is this what “down-home” means? Not where I come from, anyway. The food was okay but overpriced. From now on we will stick to the Crab Shack down the road in Salter Path, where they actually seem like they want us to be there.